Today is Hoshana Rabbah, which means the great saving. It is the last day of Sukkot, and when something’s the last day, you know it’s probably going to get a little crazy. During the time of Y’shua, when the Temple was still around, during each day of Sukkot the priests would bring giant golden pitchers of water through Jersusalem and into the Temple. They would recite Isaiah 12:3, which says, “With joy you will drink from the wells of salvation.” The water symbolized salvation. However, on the last day, Hoshana Rabbah, they would bring empty pitchers, because the promise was not fulfilled yet. They did not have salvation (the water of life) yet, and they knew it. But they were hopeful that one day it would come. In the middle of this ceremony, on Hoshana Rabbah, Y’shua stands up and shouts “Anyone who is thirsty may come to me! Anyone who believes in me may come and drink!” (John 8:37-38) You can imagine the chaos this caused. Here, in the middle of a ceremony showing how the Jews have a hope of salvation, but it’s not here yet, is this guy who claims that he is the water of salvation. This guy is claiming that he is salavation, and if you believe in him you will have salvation. Y’shua is our salvation, our savior. He rescues us from living in the wilderness. Imagine what would happen if there all the sudden there was water all over the Sahara Desert. Everything would be blooming and growing. That’s what it is like in our lives when we accept Y’shua as our salvation. Our lives go from being a desert to being a rainforest. For my first year at camp I was in the tribe of Benjamin. 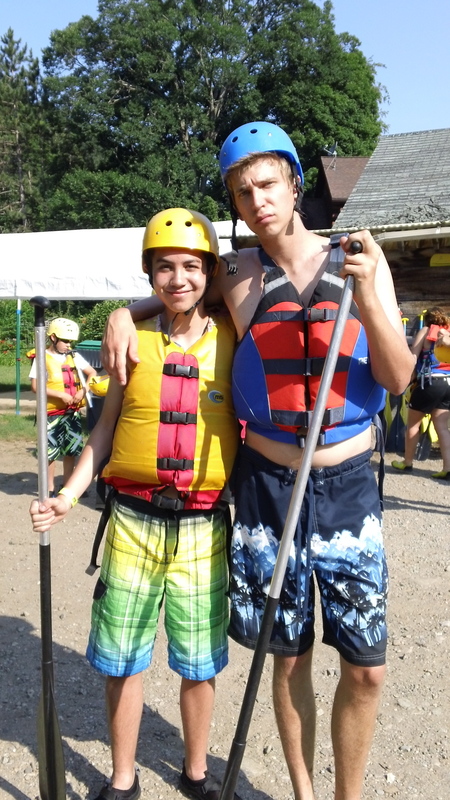 Of the two boys tribes we were the only one with two counselors. We had Long Shanks and Swank. On the first day of camp when we chose our tribe name, we picked Benjamin and we had to go into breakfast last and we told Twister and RedSox that we would always go last for everything. We go last at meals, at line up, and for activities. It is nice to let others go before us. Shanks and Swank are really good at helping us to grow spiritually during camp and I’m really glad that they are my counselors. Our tribe has lots of fun together and I couldn’t imagine being in any other tribe. I have been in camp for 5 years and I would like to give you some veteran advice. You will probably like to bring extra clothes and not so many dress clothes because we are outside a lot. Having a Shabbat outfit or two is good, but don’t bring anything too nice. Also bring clothes for theme nights, and extra socks and underwear. Also we do very fun activities and sometimes you get dirty from them, so you shouldn’t forget to put your dirty clothes in your laundry bag so that the ATLs can wash them on laundry day. 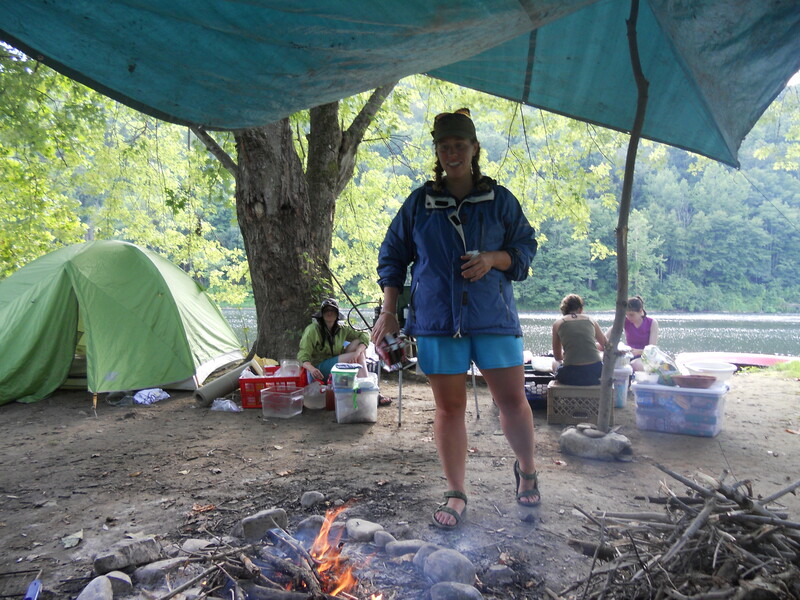 And remember your tennis shoes when you pack for camp because you can’t do much without them. For the fun activities you almost always need your sneakers and long pants. Oh, and don’t forget your Bible! That is some advice about camp. Sukkot is one of my favorite Jewish holidays. Scratch that. It’s one of my favorite holidays. I grew up in the Northeast United States, and autumn in New York is beautiful! Being outside for eight days is my idea of fun. You can find out about Sukkot in Leviticus 23. The basic information is that God wanted Israel to rejoice and live in booths outside for 7 days. God wanted Israel to live outside in temporary shelters to remind each new generation that He had made them live in shelters and cared for them in the wilderness. He rescued them from Egypt. God told Israel that this festival would be celebrated for all future generations. And we celebrate Sukkot even today. -Apparently one of the ways it was celebrated at the time of Y’shua was juggling torches. Rabban Shimon ben Gamliel could juggle 8 burning torches with one hand. -John chapter 7 talks all about Y’shua celebrating Sukkot at the Temple. He says that anyone who is thirsty should drink from Him. -A big part of the celebration of Sukkot was something called water libation, which means the water was poured about at a pool. Look at the above, it now makes sense. -A lulav is an unopened palm, a myrtle branch, and a willow branch. An etrog is a kind of citron, related to a lemon or orange. -Etrog are very expensive, they can be hundreds of dollars. We read all through the Bible how God takes care of Israel and rescues them time after time. God isn’t just a God of the Bible, He’s also a God of today. We live in a temporary world. Like a sukkah, it’s great, but I don’t think I’d want to live in a sukkah forever. It’s important to remember that things of the world are temporary , and things that we go through are temporary, but what’s of God is permanent. During this time of Sukkot, even if you can’t go and celebrate in a sukkah (or “booth”) try to find time to go outside and think about how God has been faithful in your life and are you spending more time working on temporary things that aren’t going to last or permanent things that will last forever. From the vault, here’s some vintage Gazette! In this article, 11 year old camper Anonymous writes about how much she loves worship. This year she was able to lead the worship team at camp and did a fantastic job! 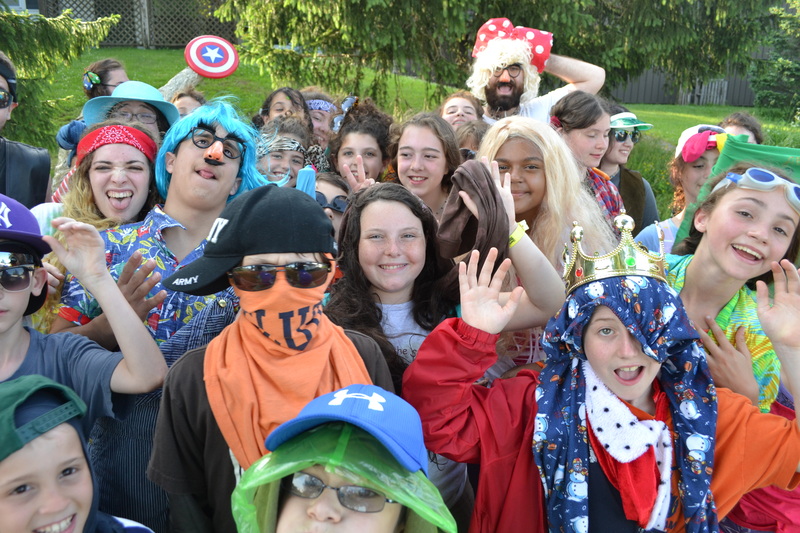 Tribe of Levi, led by Streetlight and Chickpea, with campers Bologna, Anonymous, Nemo and Violetta. 2008. This year, the thing that really touched me was the “worship group” even with Streetlight’s sore throat and a new violinist (AKA Chickpea). Sometimes I was in a sour mood, but when I heard the worship team, it made me feel better. It usually made me feel closer to God. Tabernacle is comprised of a few songs and a message. Even though the message is always good, I really connect and enjoy the music most. The worship team consists of Reptar, Streetlight, Chickpea, and Tauros. I love the worship team! From the vault, here’s some vintage Gazette! This interview was written by camper Captain (long time camper and ATL in 2008) in Strings’ first year as staff, circa 2003. Tribe of Simeon, 2003. Can you spot Strings, Captain, Jellybean, and Heinz? She has never been to Israel because she never had the chance to go. Her favorite color is burgundy. Her favorite animal is a dugong which is like a manatee except it lives in the Red Sea and the Indian Ocean. She was on the swim team from ages 8 to 12, but she likes to watch baseball even though she doesn’t really like sports. She went to Junior Camp twice, Teen Camp twice, and Adventure Camp once. Her favorite kind of music is classical and she has about 10 Veggie Tale movies. The reason I like Strings is because she’s kind, encouraging and holds our tribe together. From the vault, here’s some vintage Gazette! Here’s an article written circa 2006 by camp Bologna about why she hates FOB. I don’t think she hates FOB anymore? FOB is boring because you lay there for an hour. The counselors don’t even need it. I’ve seen them without it! But the worst thing about FOB is most of the counselors snore! It’s also annoying because the girls in Zebulun scream the whole time. I think that the ATL’s sleep while the tribe leaders stay with the kids, and then they switch. This week’s parsha is V’zot HaBracha or “And this is the blessing” and is found in Deuteronomy 33:1-34:12. And we did it! It’s the last parsha before we go all the way back to Genesis. The last thing that Moses does before dies is bless all the tribes. He starts with a reminder that Israel was chosen and that the Lord is their king. Then, Moses blesses all the tribes, each tribe individually and with a different blessing. Now the order of the tribes being blessed is a little odd, but, if you (like Moses) were standing on Mt. Nebo and looking out across the Jordan from the South all the way up to the North, then it makes sense. Moses starts with blessing the tribe of Reuben whose land will be right where Moses is standing at the moment, then the tribe of Judah all the way to the south, then Levi (who were everywhere), then Benjamin, then Joseph, then Zebulun, then Issachar, then Gad, then Dan in Bashan, then Naphtali, and then Asher who is all the way in the north against the Mediterranean Sea. Check out a map, it’s pretty cool. Moses is looking out onto the Promised Land, after 40 long years of leading. He was 120 years old, but he was still strong and could still see very well. There has never been another prophet like Moses, who knew God face to face. God shows Moses all of the land, but He doesn’t let Moses enter. Why? Because Moses disobeyed God. There are two things that struck me while reading this. One, Moses gave all the tribes a different blessing for different things. God gives everyone different gifts. Some people are good at listening, others at talking, some are good at serving and helping out, and others at solving problems. God did not make us all the same, and He doesn’t want us to be all the same. Find out the best way to use the blessings God has given you. Sin=death. Moses sinned=he had to die. Everyone sins=Everyone has to die? Now you might think, “if Moses had to face the consequences, how do I even have a chance.” But we have something Moses didn’t have, we have Y’shua. He takes the consequences for us. Crazy, right? If you want to talk more about this, just comment on the blog and Sox, Twister, or Strings can talk to you. From the vault, here’s some vintage Gazette! Here’s an interview with Shades his first year as an ATL by his camper, Josiah. Shades is my assistant tribe leader, and I thought I would ask him fun questions about camp. So first, I asked him what his favorite food. He thought for a minute and said, “pizza.” Then I said, “Fine, what is your favorite dessert?” He answered, “strawberry cheesecake.” “That’s disgusting,” I yelled. “But it’s my favorite,” Shades replied. I then asked him what his favorite cereal was, and he said, “Honey Nut Cheerios.” Well, those are good – at least they are better than strawberry cheesecake! I asked Shades what he liked to do and he said that he liked to hang out with his friends. His favorite sport is basketball, and his favorite board game is chess. Then I thought I would ask him something about the Bible. He was that his favorite book of the Bible is Revelations.